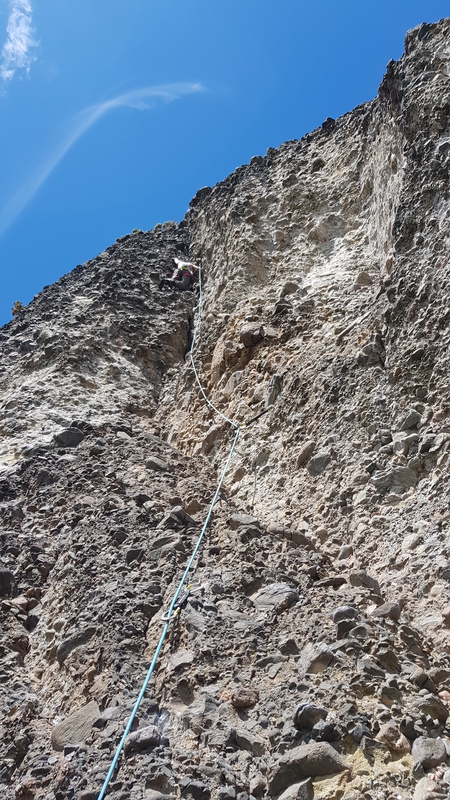 I’ve embarked on this trip without any great expectations of the climbing – the forecast is for showers and intermittent thunderstorms for the whole week, and I’d imagined the sports climbing to be “filler in” quality at best. 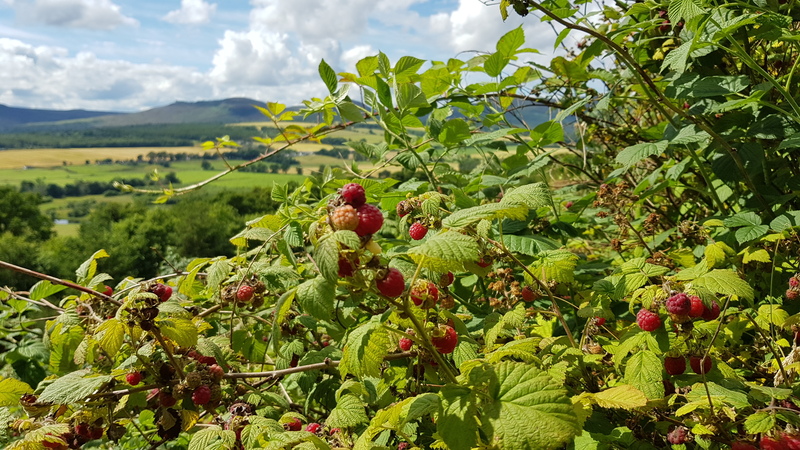 Imagine the surprise when we pulled up beneath Moy Rock (a few miles north of Inverness) and gawped up at this scene..
… But with wall-to-wall wild raspberries! 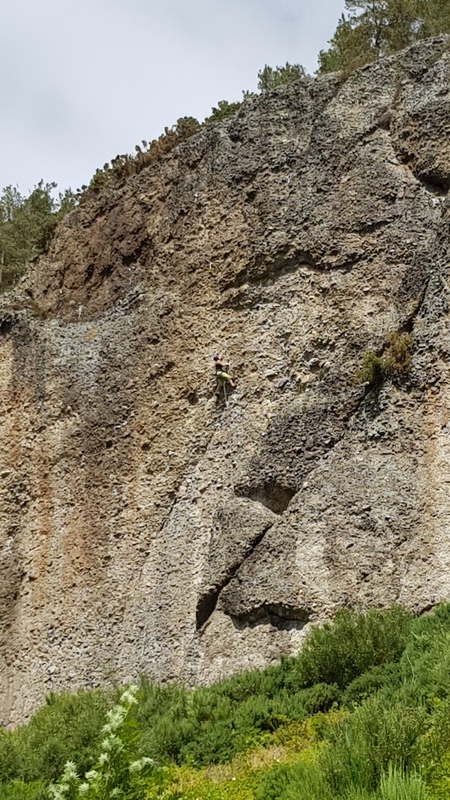 The rock was reminiscent of the conglomerate of Riglos, but (hard to believe) the quality of the climbing is somewhat BETTER than the single pitch routes in Spain (less polished and better bolted). 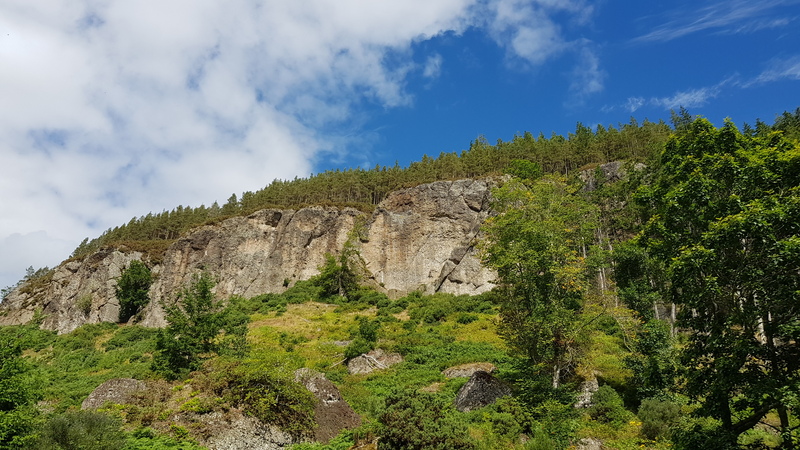 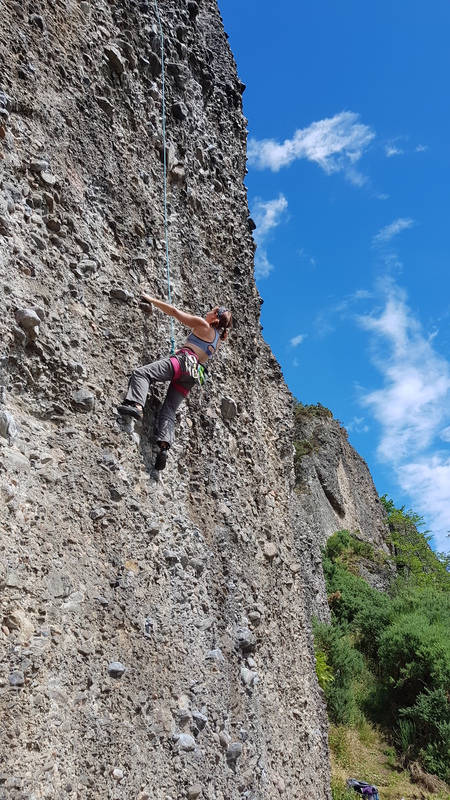 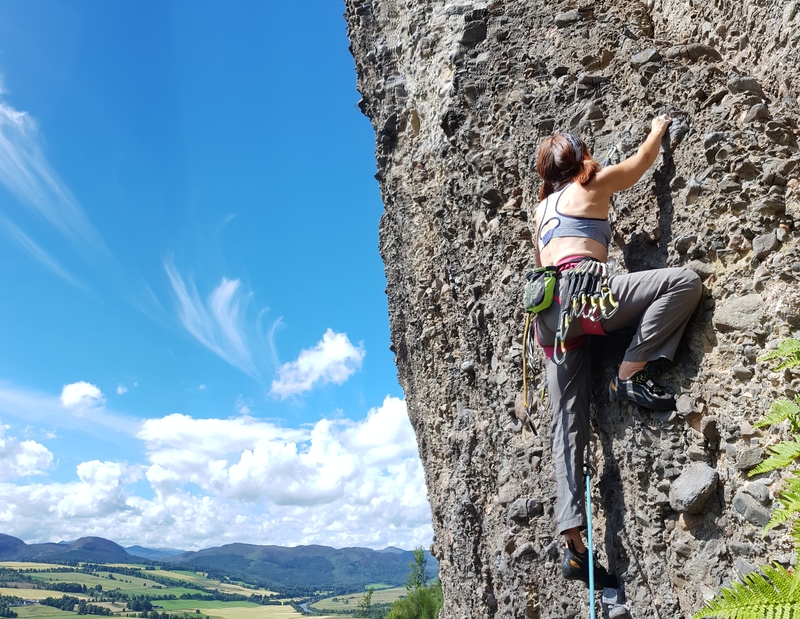 … Plus “Little Teaser” 6b+ one of the Top 30 sports routes in Scotland according to the guide, and a tough little number with a crux right at the top and slightly sporting bolting so you’ll take a (very safe) plummet if your fingers uncurl going for the chain! 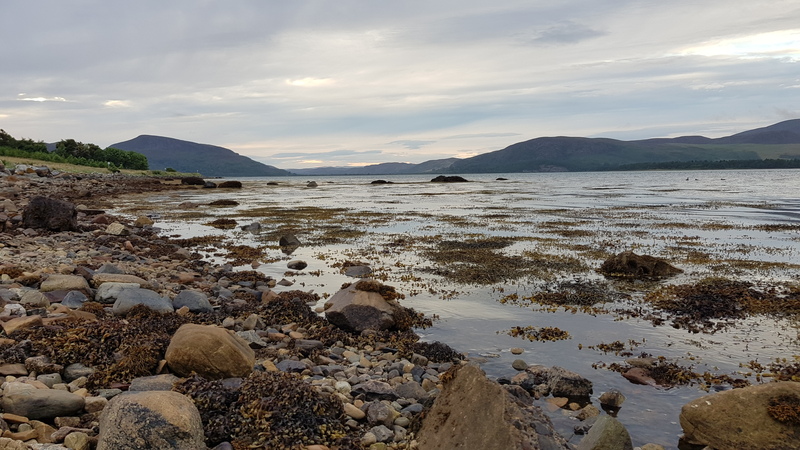 Fantastic spot – we’ll be back for more, then onwards to a peaceful overnight parking spot by the seaside, with seals swimming past and serenading us.